A total of 11 Berlinettas and 11 Spiders with the N-Largo package will be produced for global consumption. On top of that, only two Berlinettas and two Spiders with N-Largo package are coming to the United States. 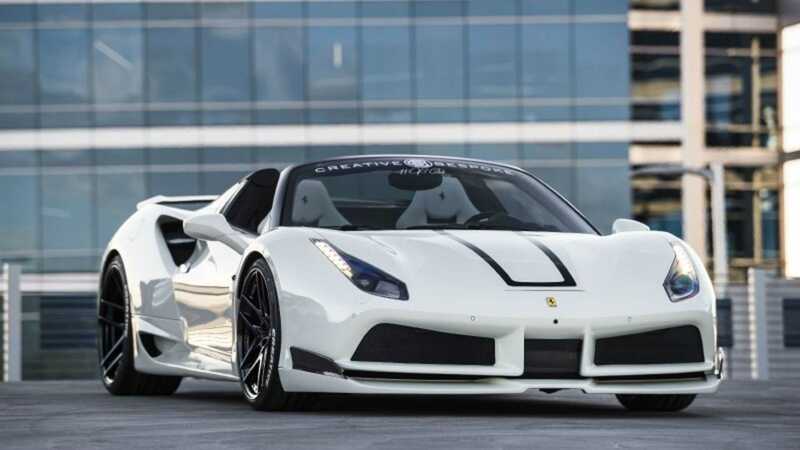 Ferrari launched the 488 GTB (Type F142M) in 2015 as an update to the 458 Italia. However, the 488 did receive some notable aero and exterior tweaks and the performance was vastly improved when compared to its predecessor. The 488 was penned by Flavio Manzoni at Ferrari Styling Center and it was the first mid-engine sports car not be designed by Pininfarina. 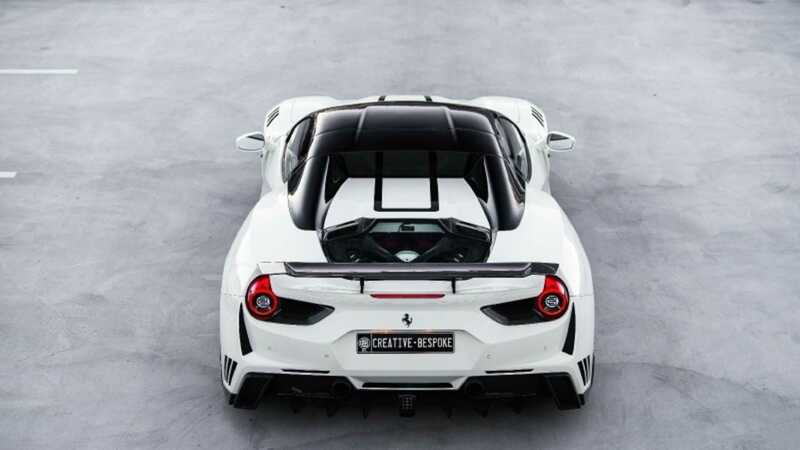 During its four-year production run, the 488 was available as a two-door Berlinetta and a retractable hard-top convertible and were manufactured in Maranello, Italy. 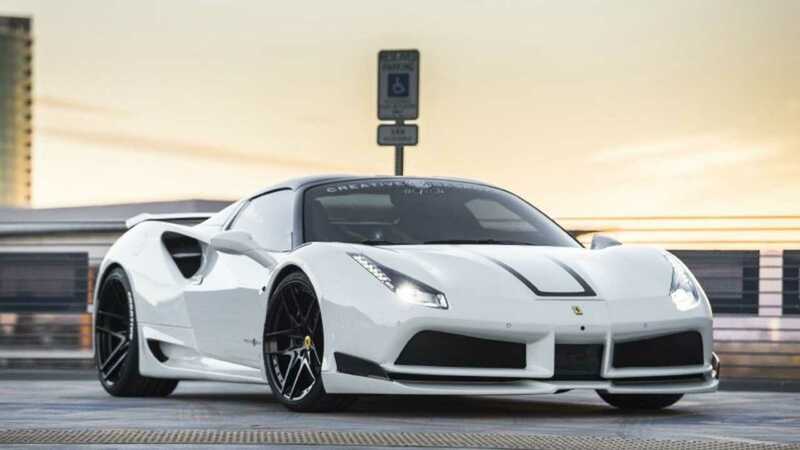 The 488 is also the first Ferrari production model since the legendary F40 to be powered by a turbocharged V8 engine. 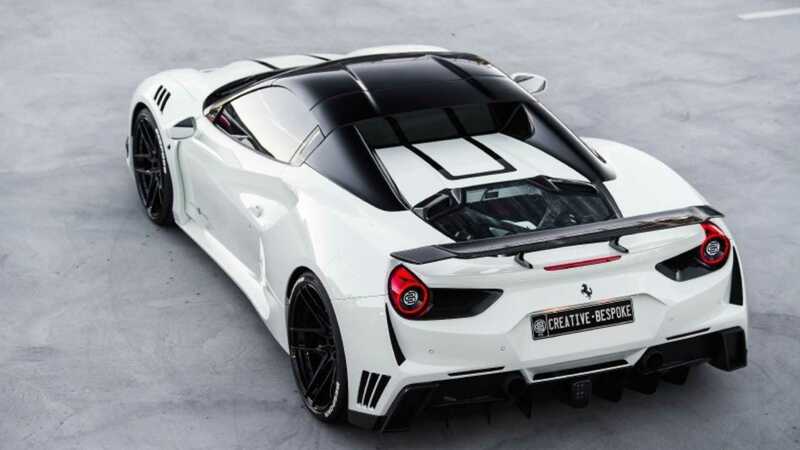 A biturbo 3.9-liter Ferrari F154CB V8 with 661-horsepower at 8000 rpm and 561 pound-feet of torque at 3000 rpm propel the 488 to 60 miles per hour from a standstill in 3.0 seconds and onto a top speed of 202 mph. The engine is bolted to a dual-clutch seven-speed F1 transmission manufactured by Getrag. The design of this transmission is very similar to the unit used in the 458 Italia. 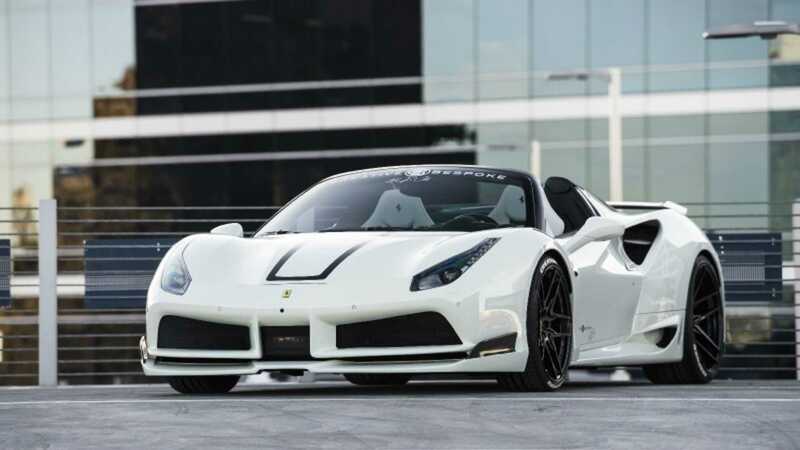 This particular 2017 Ferrari 488 Spider Novitec N-Largo currently for sale at Creative Bespoke in Scottsdale, Arizona is one of just two 488 Spiders equipped with the N-Largo package bound to the United States. 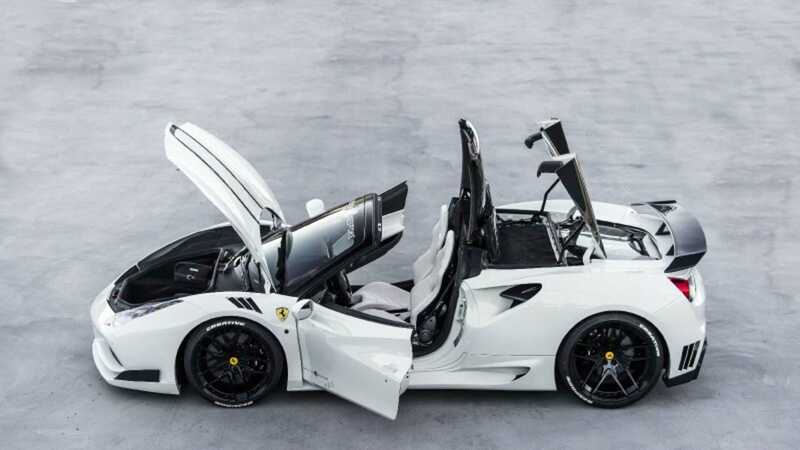 Only a total of 11 488 Spider with N-Largo package will be produced for global consumption, thus making this convertible very rare and extremely sought-after. 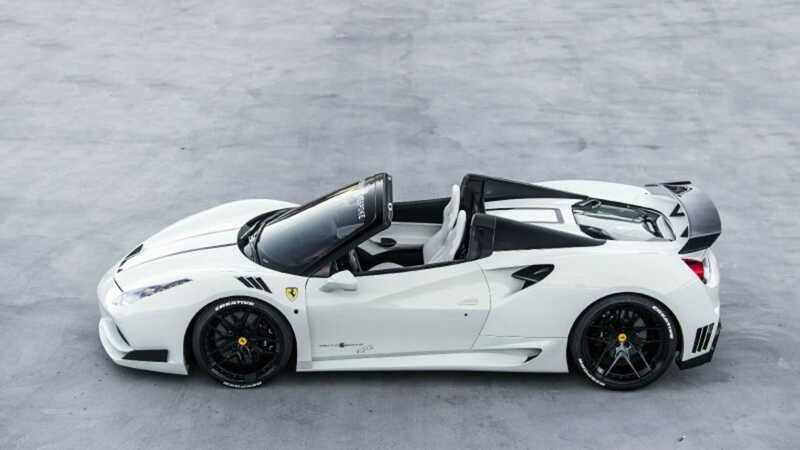 This 488 Spider is still powered by the biturbo 3.9-liter V8, but the power output has been raised to nearly 800-hp thanks to the FI exhaust system with integrated flaps along with cat replacement pipes for the complete stage two engine package with an upgraded ECU. On the outside, the front bumper, front fenders, rear bumper, side skirts, rear fender, and many other components are constructed out of carbon fiber. 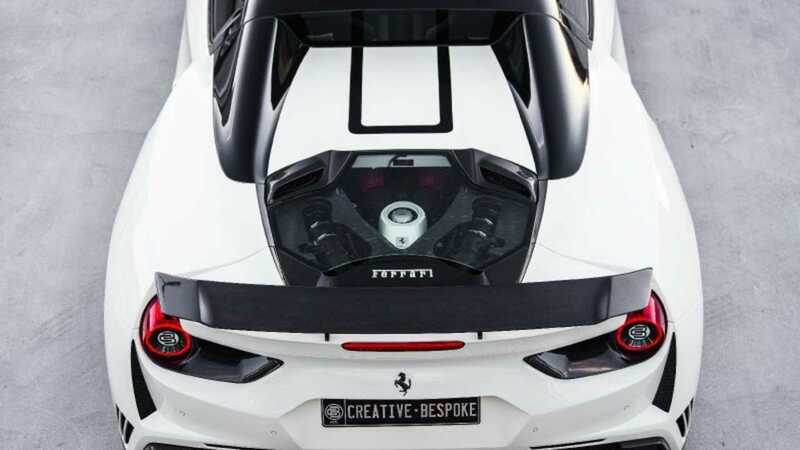 A Capristo carbon fiber engine glass cover with the inside painted to match the exterior color was added by Creative Bespoke. 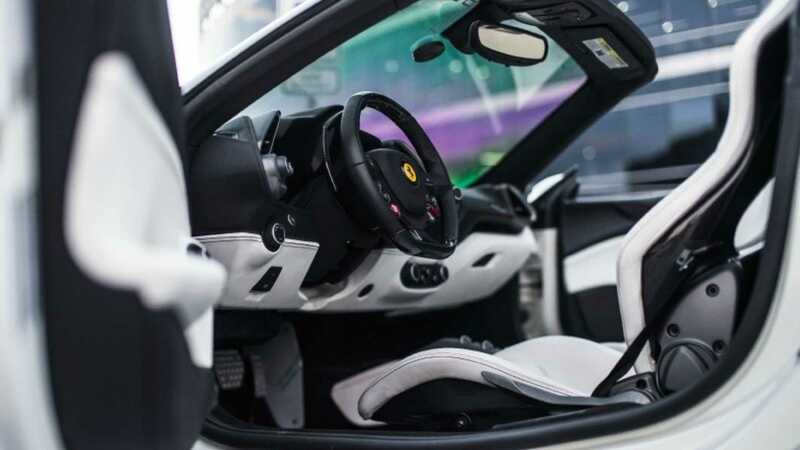 Inside, this Bianco 2017 Ferrari 488 Spider is fitted with full carbon racing seats which are covered in a special order Bianco white leather. 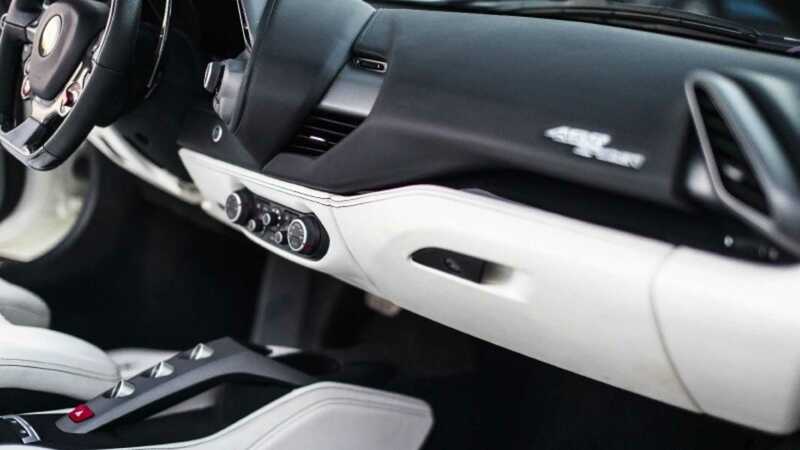 The rest of the interior is similar to what you will find in other 488 models. 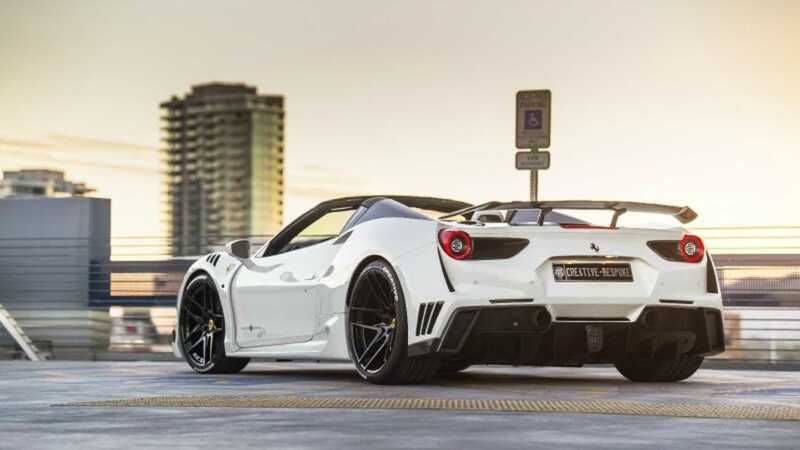 This Ferrari 488 Spider Novitec N-Largo rides on a set of Novitec NF6 NL wheels measuring 21x9 inches up front and 22x12 inches at the rear. 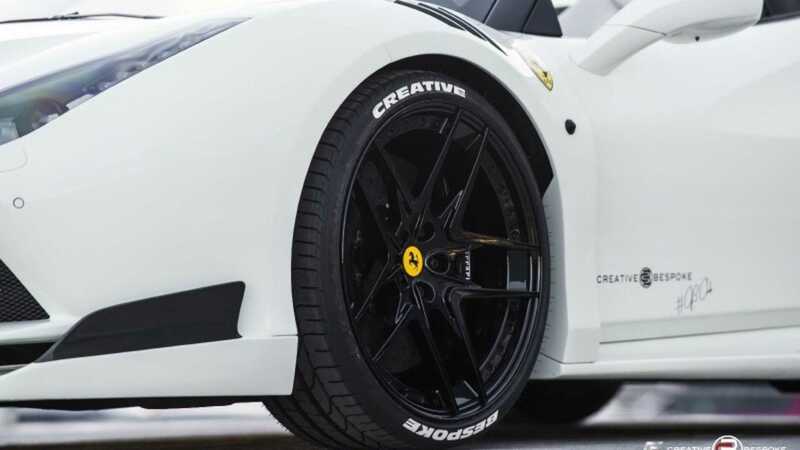 The wheels are wrapped with a set of super-sticky Pirelli Pzero tires. 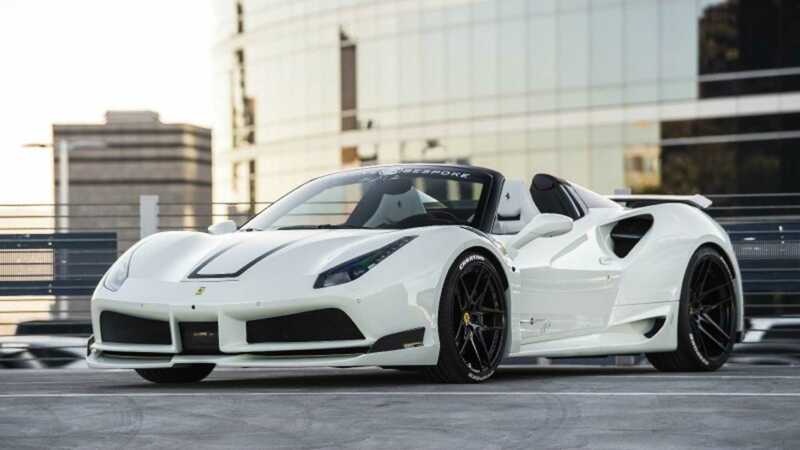 So, if you are looking to purchase one of the 11 worldwide and just one of two US-bound Ferrari 488 Spider Novitec N-Largo, then check out this 2017 example for sale at Creative Bespoke for $429,500.